Do I really have to indicate out of a roundabout? You must indicate for long enough to give sufficient warning to other drivers and pedestrians before entering a roundabout when turning left or right. You must also indicate, if practicable, on exit when going straight ahead. That way, people around you know exactly where you’re headed. Doesn’t really offer much help does it? 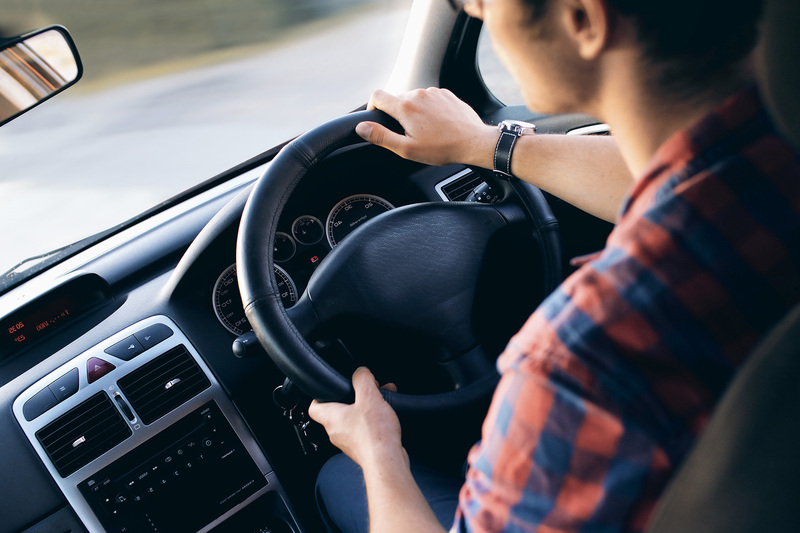 If you’re a learner driver and thinking about passing a driving test, then it’s practicable at every single roundabout. Firstly, you will be sitting a test where the examiner decides if you should have used an indicator to exit a roundabout. You don’t want to find that out that you got it wrong after the test. If you indicate on every roundabout you won’t be failed for signal errors. If you find it difficult to signal out of a roundabout, particularly small ones, then it could be a technical issue. Turning right at a roundabout with too much speed or having an incorrect steering technique can make it difficult to use an exit indicator. Driving is a practical skill and to be good at it, you need to build habits. 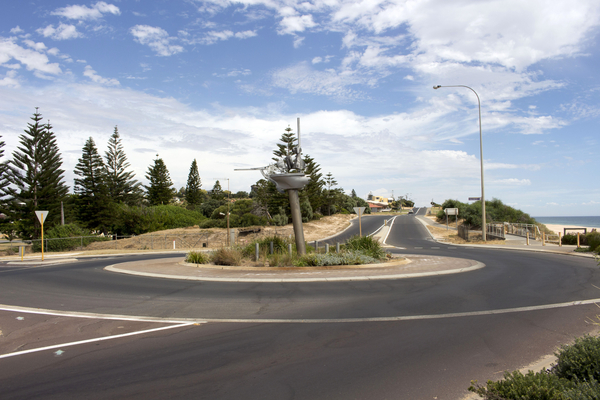 When you are learning and practicing roundabouts, build a habit out of signalling out of every roundabout. This way you don’t have to decide when is practicable. This rule about exiting roundabouts isn’t new, however, you won’t see many drivers applying it! The most common type of accident in NSW is a rear-end collision. 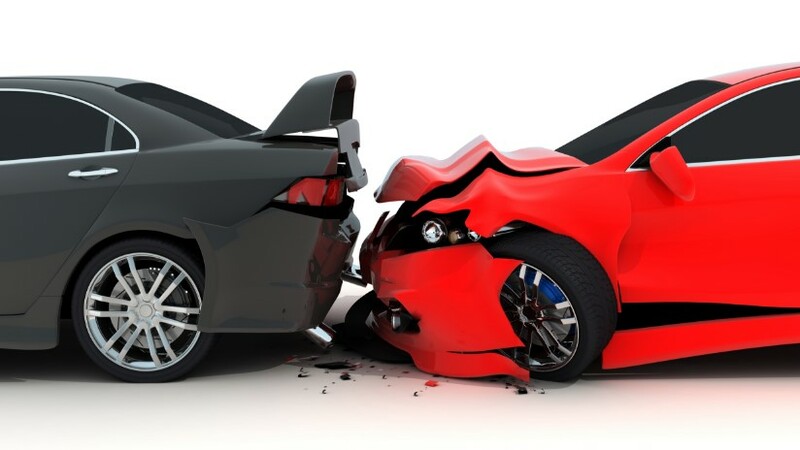 Rear end accidents account for 28% of all reported accidents making this our number 1 driving fail! The most common cause of rear-end accidents is not keeping an appropriate gap. A rapidly rising cause of accidents is distraction, with smart phones taking priority over what is happening on the road. You might get away with it once, but soon enough your number will come up. We refer to the right-hand lane as the ‘head-on collision lane’. It only takes a tiny error by an oncoming driver for a head-on collision to occur. Head-on collisions account for 30% of fatalities on NSW roads. The late decision maker likes to keep us all guessing as to their next move. They brake late and try to squeeze into turning lanes that they did not realise were coming up. Late decision makers do not have the time to consider other traffic when they make moves and are difficult to predict . There are some drivers out there that think that indicators are there to be used because the road rules say so. The reality is that indicators are there to communicate with other road users. Nothing more frustrating than the driver that gives their indicator half a flash just after they have changed lanes. Green means go right? Well did you know that 16% of crashes happen at controlled intersections? Just because we have the right of way does not mean everyone else will give way. Make sure you are safe before entering an intersection or you are committing one of our top 6 driving fails. Are you being seen by other drivers? At most crashes one of the drivers will get out of their car and say, “He came from nowhere” or “I didn’t see her”. 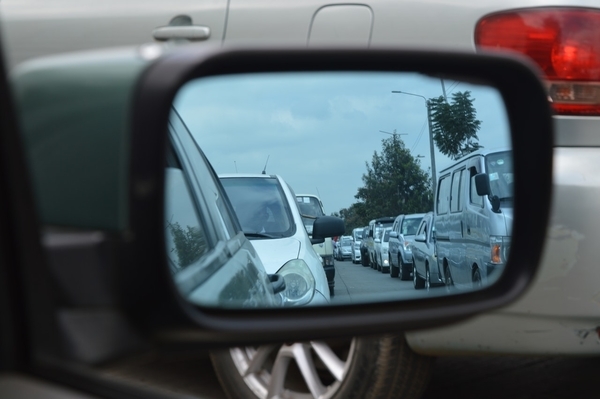 If you aim to be seen you will reduce your likelihood of being involved in an accident. What can you do to be seen? There are several things that you can do to ensure that we are seen on the road. The primary way that you are seen is through the use of your signals and brake lights. By making early decisions we become more predictable and therefore easier to see on the road. In some situations, tapping the horn or flashing the headlights will help us to be seen on the road. This is actually the only correct use of the horn! A big part of being seen is using your own vision to identify all the hidden possibilities. You should always be questioning, is there a child walking out behind that bus? Is there a car about to run that red light? When you identify blockages in your vision, you can slow down. If there is a car running a light, you can see them and they can see you too. If you are finding it difficult to see other cars then we should be questioning if other cars can see you. This could be due to the setting sun, rain, fog or mist on the windows. If you are having trouble seeing other cars then you need to do everything you can to be seen – turn on headlights and slow down at high activity areas. How do you know if you have been seen? The only way to know if you have been seen is through eye contact. If you as a driver or even as a pedestrian are not looking at the other driver, you are not getting the full picture. If you are approaching a car that is waiting to come out of a side road and all you can see is the back of their head then you need to slow down. You cannot be sure that they have seen you. You will still need to exercise caution even with eye contact, in some situations it might look like the other driver has seen you but not. What does an expert driver do to be seen? At the top level a driver will adjust their position in their lane to be seen earlier by other road users. They will avoid driving in blind spots of other road users. Headlights will be on well before dark and after dawn. They will adapt a ‘horn ready’ stance in situations that have potential other road users to make late decisions. They will also give careful consideration to the colour of their vehicle and other safety features like daytime running lights.